Turkey Hill Minit Markets is joining a number of other convenience stores, grocery chains, and other retail entities offering the sale of beer and wine. A Pennsylvania law passed in 2016, called Act 39, specifically allows the sale of alcohol (beer and wine) in convenience stores. Thus, consumers have updated their expectations and many are asking when they might be able to find local convenience stores that are selling these products. 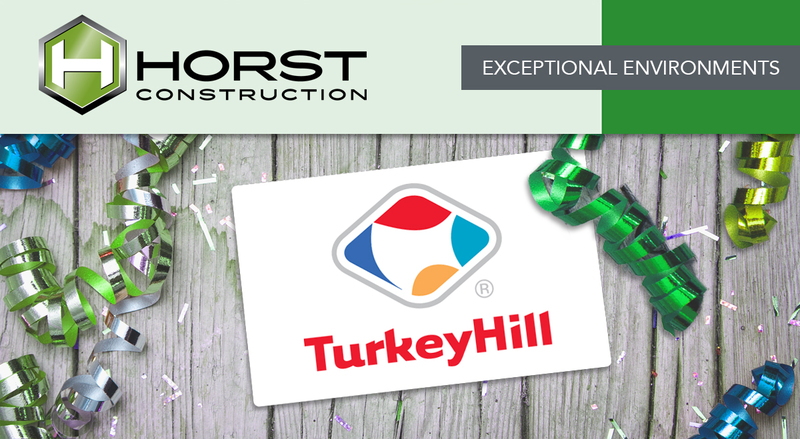 For Turkey Hill, the transition could occur as early as this fall for some stores. A change of this magnitude is not a quick and easy evolution, however. Horst Construction has participated on the team that is evaluating what this will mean for the impacted stores and how they will need to change to accommodate this new offering—and the legislature it brings with it. While the state legislation is difficult to interpret, the basics are consistent and clear: mandatory licensing, a separate register, and seating for 30 customers are common threads. Most convenience stores, including Turkey Hill, are using the guidance of legal advisors to sort through it all. In the meantime, we at Horst Construction are also familiarizing ourselves with the state and municipal requirements and quotas, as well as zoning and variance laws. One thing is certain—the changes required will absolutely affect the physical building, and in some cases the parking area as well. If an existing store requires a retrofit—reconfiguration, updating, or an addition—Horst’s Special Services Group is well equipped and ready to handle these needs. Our relationship-driven approach focuses on our clients’ needs, utilizing our knowledge and experience in commercial construction to provide quality building solutions that fit our clients’ budgets. At Horst Construction, we understand that time is money. Our on-site management teams minimize downtime by coordinating tight, multi-phased construction schedules with your operations. Our goal is to minimize disruptions to your business while exceeding your expectations. Contact Scott Burkholder at 717.581.9971 or via email to learn more about how Horst can partner with you to build something exceptional.